This is taken from the beach front in Kalamaki. Again, as the picture below, this is a huge area that you can see. 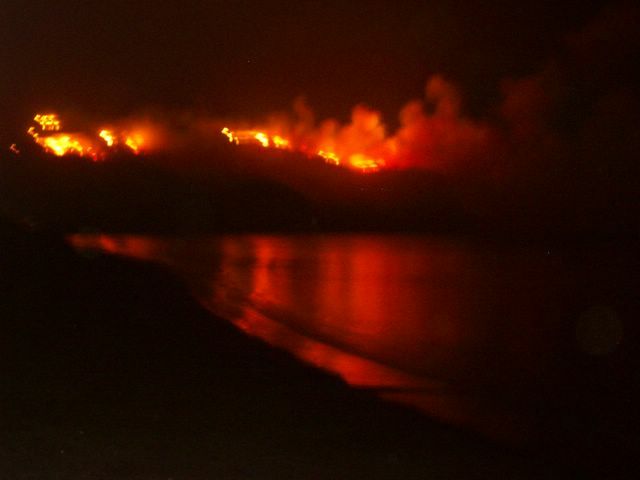 In a perverse kind of way, it looked so nice seeing the flames reflecting off the sea. I am not sure what the repercussions have been for the people that live in this area but it appears to have, miraculously, missed all of the houses. The smoke is thick and going out to sea for miles.